Happy New Year! I’m currently putting the final touches on my annual reflections and preview of what is sure to be a dynamic year for our network, building on our momentum from 2014 and 2015. I read Bad Land with the national debates on immigration reform and Syrian refugee relocation, terrorism and a record global refugee exodus that currently exceeds 60 million people very much in the forefront. In it, Jonathan Raban explores the settlement in the early 20th century of the least-populated and least-known area of the United States — the badland area between Marmarth, North Dakota and Terry, Montana along the route of the Milwaukee Road railroad. Immigrants came from northern and eastern Europe in search of a new life here. 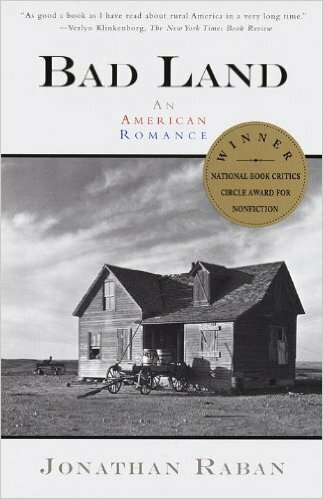 The settlers attempted to build a hopeful civilization on the prairie, only to see it collapse within little more than a decade. Most left, generally moving west into the Inland Empire and Puget Sound areas. Because many felt that they had been betrayed by those who convinced them to move to and farm the area, Raban paints a picture of an independent and rebellious attitude of anti-authoritarian distrust towards corporate America (railroads) and the U.S. government. What I didn’t anticipate is that this distrust would ignite anew five days ago in Burns, Oregon and the Malheur National Wildlife Refuge. Lest we believe this to be as simple as white ranchers - presumably descendants of immigrants - protesting federal government overreach, the Paiute Tribe considers the Refuge to be a sacred site and the ongoing occupation an act of desecration. 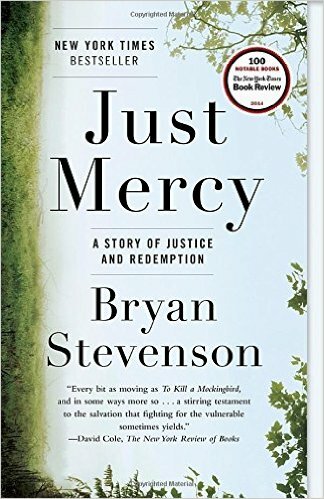 Bryan Stevenson’s Just Mercy is a deeply compelling and ultimately hopeful personal account of his work as an attorney to counter the systemic unfairness of the justice system in Alabama in depriving African-Americans of liberty, often through a sentence of death. And, here, the standoff at the Malheur National Wildlife Refuge in Burns, Oregon comes into play again. One of the most hotly debated topics in social media: what if the white ranchers were either black, of Middle Eastern descent or Muslim? Lapham's Quarterly is a literary magazine established in 2007 by former Harper's Magazine editor Lewis H. Lapham. Each issue examines a theme using primary source material from history. 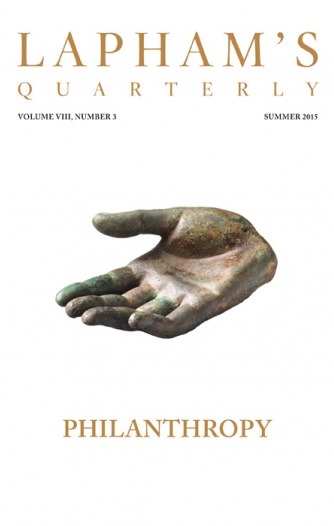 In this particular issue, the fascinating works of 85 commentators on philanthropy ranging from Aristotle, Cicero and Machiavelli to Seneca, Lao Tsu, Queen Elizabeth I, Eudora Welty, Florence Nightingale, Ariana Huffington and Al-Ghazali, are employed to critically examine philanthropy. Did you know that the word “philanthropy” first appeared in Western thought in the fifth century BC to name an act of rebellion and denote the crime of treason? The guilty party? Prometheus, the Titan who stole the fire of the gods and, because of his love of humanity, gave it to humans. As for my first read of 2016? 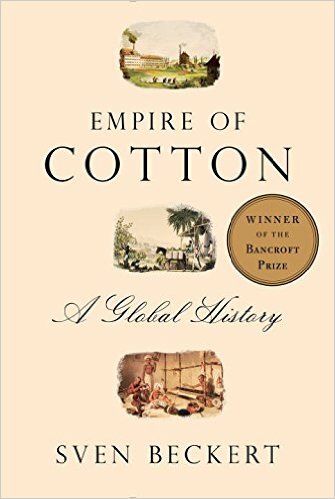 While the title is an apt description of the work and the story itself is very difficult, Beckert’s recounting of the world’s first global industry as the catalyst of the industrial revolution matters to philanthropy. The industrial revolution laid the foundation for amassing of wealth on an unprecedented scale. That, in turn, led to the establishment of philanthropy in the institutional form that we know today: legal entities known as private and public foundations. Check back for more insights from Jeff Clarke, our staff, members and partners — or sign up to receive email notifications when we publish Philanthropy Northwest news.